Every editorial product is independently selected. If you buy something through our links, The Strategist may earn an affiliate commission. 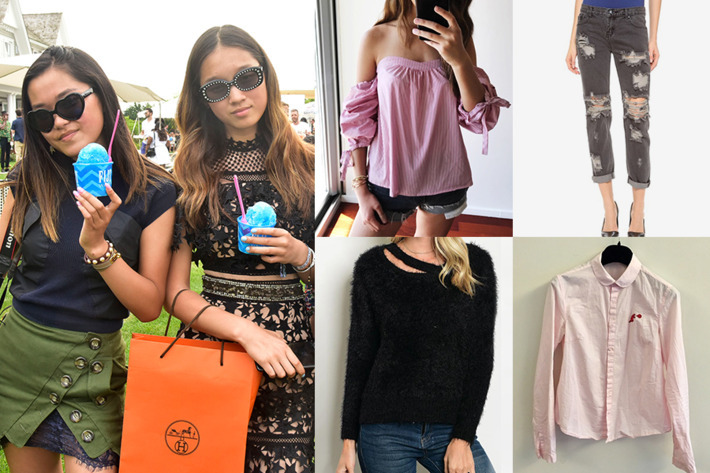 Depop, Poshmark, the Real Real: They’re just a few of the “re-commerce” apps transforming online resale. 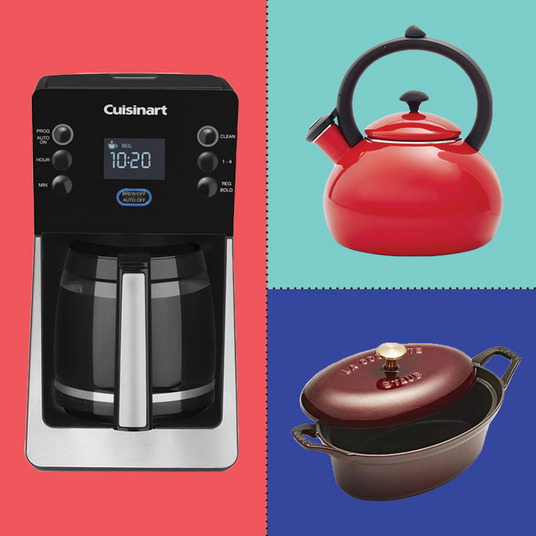 Here, how to shop each one best. The leather jacket first belonged to Daniel Day-Lewis’s son. It was one-of-one Gucci and it looked like a typical motorcycle jacket, but spray-painted white and topped off with two back-to-back G’s — the GucciGhost logo. The world watched as the multi-hyphenate model-musician Gabriel-Kane Day-Lewis wore it, and Instagrammed it, while recording at Premier Studios in New York City, walking on a ledge high above Sacré-Cœur, Paris, and standing in a bike lane in Le Marais. Then, he gave it to a photographer named Jackson Ray of the blog Fashion Moves Forward. Ray sold it to a guy named Phillip Dowd, and until about a month ago, any online shopper could buy it off a website called Grailed. And now, these start-ups have transformed a space once dominated by eBay and Etsy into a competitive pre-owned-fashion industry with its own catchy name: re-commerce. 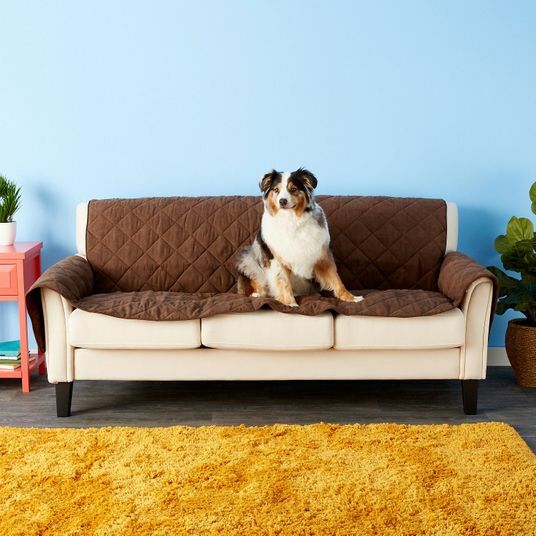 So far re-comm is most popular among millennials — no surprise there — but it’s also strong among consumers in higher income brackets, those making $75,000 a year and up, a recent Bank of America report found. That’s how it’s grown so quickly into a $2 billion market. Since 2013, the volume of items traded online has more than doubled. 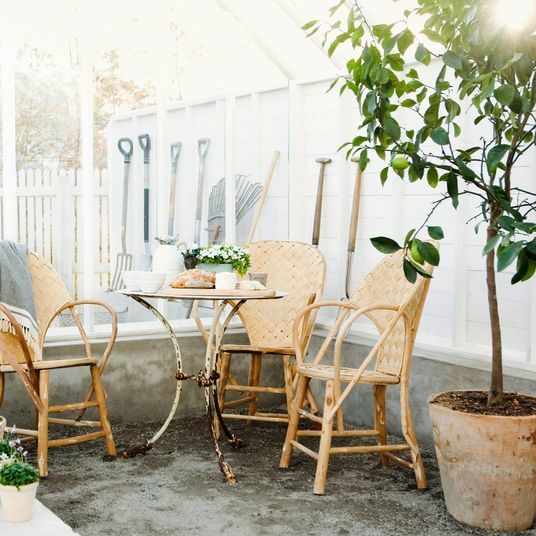 Even more recently, over the last two years, the online and brick-and-mortar resale market itself grew 26 percent. During that same time, new clothing sales in general crawled up at barely one percent. These start-ups are not just the new eBays, but they are the new fast fashion, where we first turned to buy cheaper versions of designer clothes. Now, by following the right sellers on Depop and “liking” the right items on Vestiaire Collective, you can get that cheaper fast-fashion price with the same original designer quality, and a moral pat on the back for recycling. These websites and apps are also influencing buyers more efficiently than any shopping website has done before. Using boatloads of data, they’ll track when and where a brand becomes more or less popular, and then adjust pricing and home-page features to reflect that. They know, up to the minute, exactly what people are looking for and making more sales because of it. Like many of the internet’s most recent success stories, re-commerce works by building online communities; people shopping each other’s (and celebrity spawns’, and even celebrities’) hand-me-downs like personal stores, returning to the closets — in re-comm parlance — of those who respond to comments quickly and offer personalized deals. The entrepreneurs among us have moved on from collecting bags of clothes that lie in wait for a trip to Salvation Army to creating full-time businesses out of that which they no longer wear. Welcome to the world of re-comm. Between 2013 and 2015, about 23 venture-backed re-commerce sites launched. Through start-up survival of the fittest, those 23 businesses have been whittled down to about seven platforms worth knowing, each falling into a series of categories. There are peer-to-peer models where, much like eBay, users themselves list items, decide on a price, and do the shipping. The platform eventually takes a cut of the sale. Then there are companies that act like traditional consignment shops, where they take inventory, hold it in a warehouse, photograph it, and set prices. Within each of those categories, there are luxury-focused and mass-market versions. They also have some great vintage rap tees. 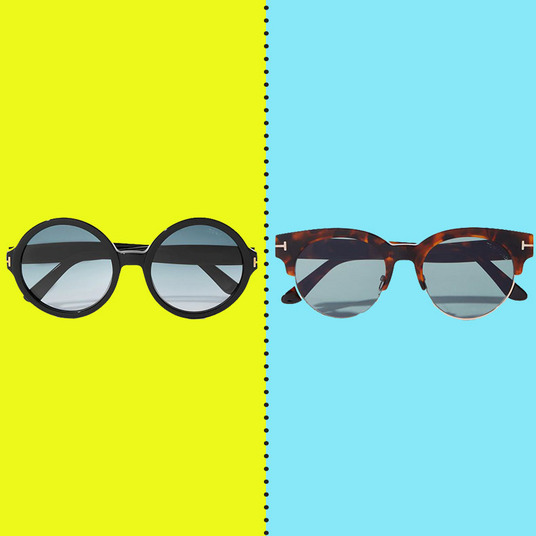 Origin story: Simon Beckerman, Italian graphic designer and co-founder of Retrosuperfuture sunglasses was working at PIG magazine, which he also co-founded, when he dreamed up Depop as an app that would sell everything featured in the magazine, and readers would log in to shop. It launched in 2011 with the recognizable, user-friendly interface of Instagram, but next to the “like” button there was also a “buy” button. 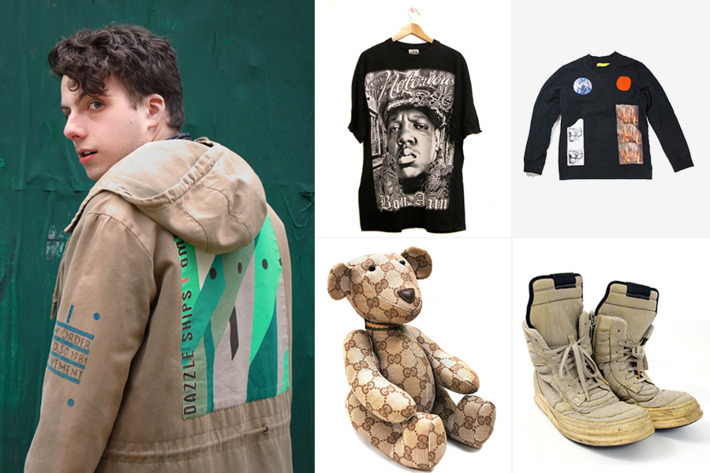 Depop finished 2017 with over 8 million registered users spread across England, Italy, and the U.S., and just announced a $20 million investment that the company will use to open physical stores in New York City and Los Angeles. 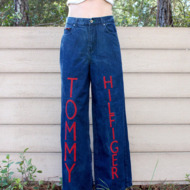 Who it’s for: The 20-year-old Instagram and Tumblr trendsetters who are still obsessed with Clueless and Buffy and were early to fuel the ’90s and early-aughts fashion revival (Champion itself uses the app to find archival pieces). As the app has grown, so have its users, some of whom started by selling vintage finds and now design their own screen-printed tees and sweats. 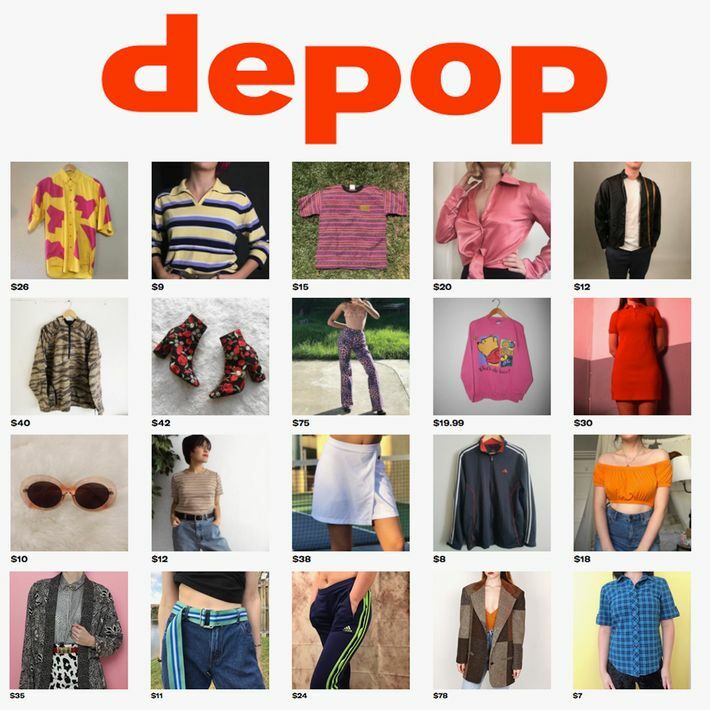 It’s even attracting young designers who are using Depop like a second version of a shoppable website, but one that comes with a built-in user base. For example, see the streetwear brand Pleasures, which also co-hosted a pop-up with Depop during last year’s ComplexCon. 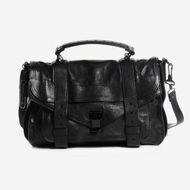 Tips for Buying: Spend some time searching for brands that you like in order to find the people who sell those brands, and likely have similar taste and style. Follow them. Then, click over to see what the people you follow have liked, and buy it before they do (or just go down the rabbit hole of cool people’s likes). Tips for Selling: Stylize everything. A lot of people use Depop just for #inspo, so the more your pictures look like thought-out photo shoots, the more likely you are to attract and entice buyers. 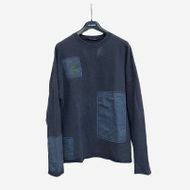 Origin story: In 2014, Yale graduate and Silicon Valley start-up guy Arun Grupta coded Grailed’s website himself, because after all the eBay scrolling and message-board lurking, he thought there should be an easier way for menswear obsessives like himself to find rare threads. He now shops alongside almost 1 million like-minded users and recently launched a sister site called Heroine for women. 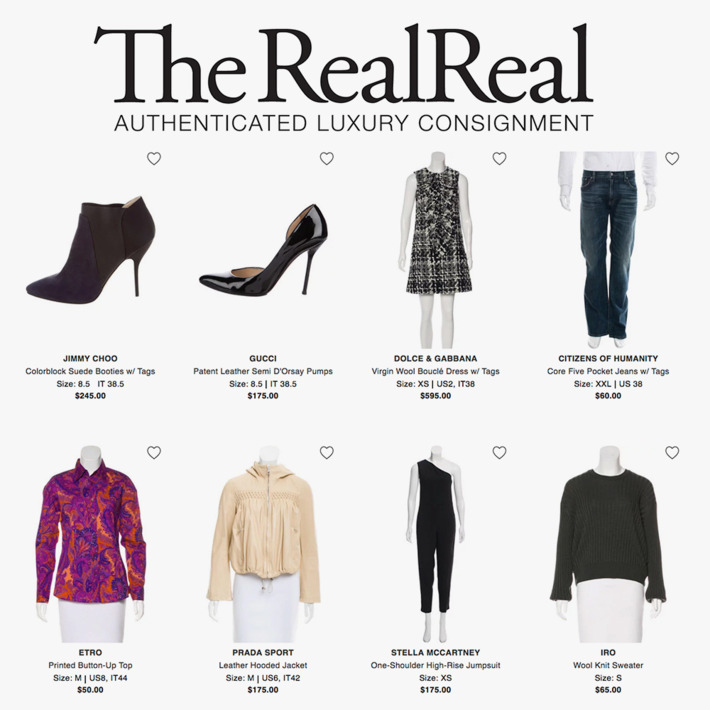 They’ve also expanded on the original three categories — “Grailed” (most-wanted items from luxury designers like Raf Simons), “Hype” (new streetwear and sneaker releases), and “Core” (mass-market brands, like J.Crew, and vintage) — to include a fourth: “Sartorial,” for high-end classic, tailored menswear like Brunello Cucinelli and Tom Ford. Who it’s for: Kids who wait outside Supreme and their adult counterparts who can now afford Off-White and Comme des Garçons. Tips for Buying: Filter to “new” so that you can see the most recent up-to-the-minute releases, where you’re more likely to find a deal. Then, be quick. 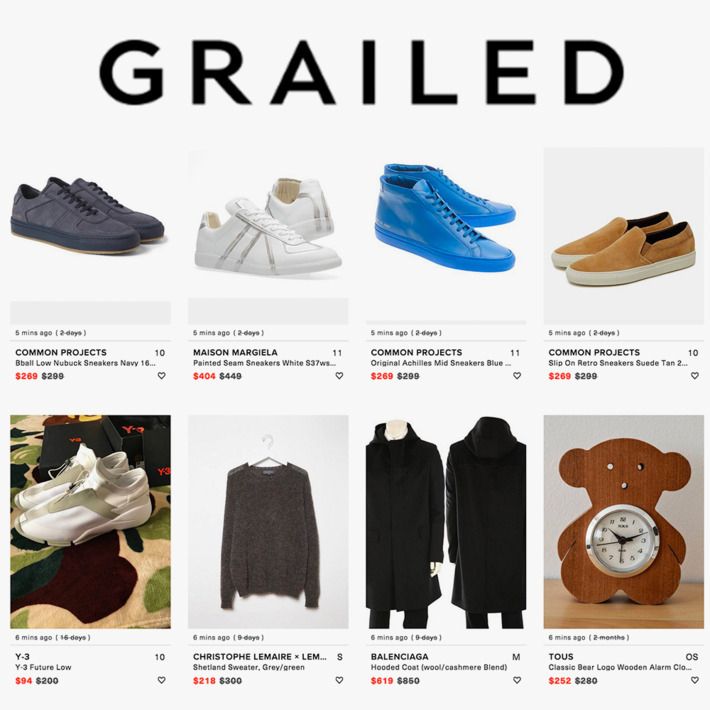 Grailed is all about rarity and hype, so if you see something you like, don’t wait because it’ll be gone before you come back. Tips for Selling: Find rare goods, put them up for sale, and answer messages and comments quickly. If someone wants to know how to clean a Gucci teddy bear, the sooner you help them, the more likely they are to buy it for their newborn. 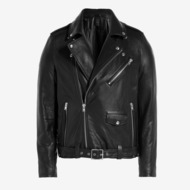 I’d 100 percent buy a Prada jacket from here. Origin story: Julie Wainwright, early dot-com entrepreneur notorious for her CEO stint at Pets.com (one of the shortest-lived public companies on record), opened the Real Real in 2011 at 60 years old after watching a friend drop $5,000 in 20 minutes at a consignment store. 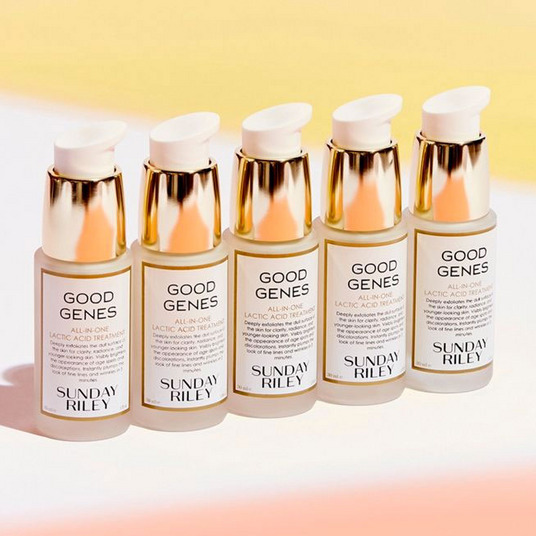 It’s since raised $173 million from investors ($50 million just this June) and opened a brick-and-mortar store in New York City this fall. The company has estimated that they process up to 300,000 items every month, each of which goes through an in-house authenticator, but they’ve recently run into trouble with customers believing they purchased items that were misrepresented by the site. 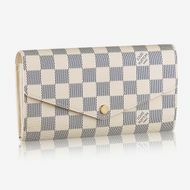 Tips for Buying: Filter by new arrivals and size, check back regularly, bookmark what you’re interested in, and wait for a sale. Those usually happen about once a month, and your faves might very well end up even further discounted. Tips for Selling: You can schedule a free in-person pickup (now in 21 cities) or ship whatever you’d like to sell directly to Real Real headquarters. From there, they’ll chose the price and you get up to 70 percent of it. The better condition and the more recognizable the brand name, the faster it’s likely to sell. Origin story: James Reinhart was sick of his clothes and tried selling them at a local consignment shop. The shop wouldn’t take them. Instead of accepting any measly credit, he opened ThredUp in 2009. Now, his company calls itself the world’s largest online thrift store, with over 20 million users and something like 30,000 new items uploaded to the site every day. 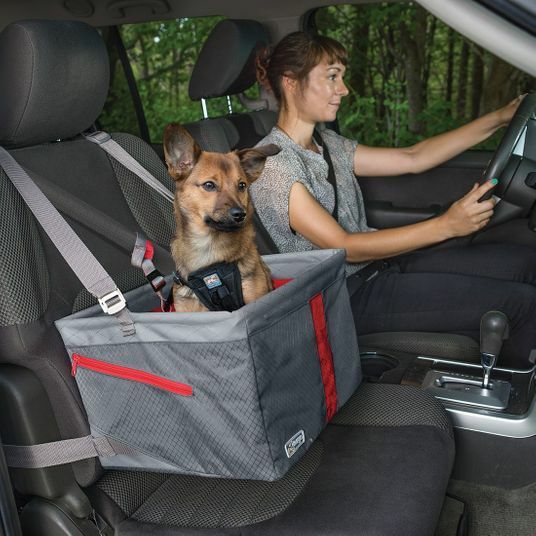 It’s also become an industry leader, releasing annual resale-market reports, and have opened brick-and-mortar stores in Austin, Texas, and Walnut Creek, California, with more planned throughout the year. Who it’s for: Moms and moms-to-be who proudly call themselves Maxxinistas, but also like shopping for Kate Spade, Madewell, and Tea Collection (for the kids) from the couch with a glass of Pinot. Tips for Buying: Search by brands you already love, so you know the sizing will work. Shoes are an easy place to start. Then, use the filters! 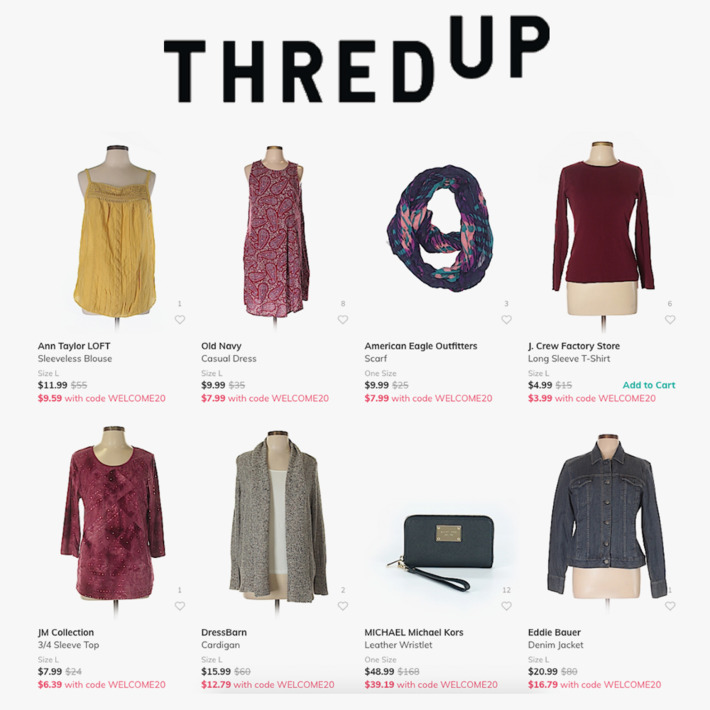 On ThredUp, you can get as detailed as to what kind of neckline you’re looking for, and that decision might get you from 130,000 items to 1,500, which is still a lot, but much more manageable. Check back often because inventory is updated by the minute. Tips for Selling: ThredUp will send you a bag about the size of a hamper that you can fill up and send back whenever it’s full. 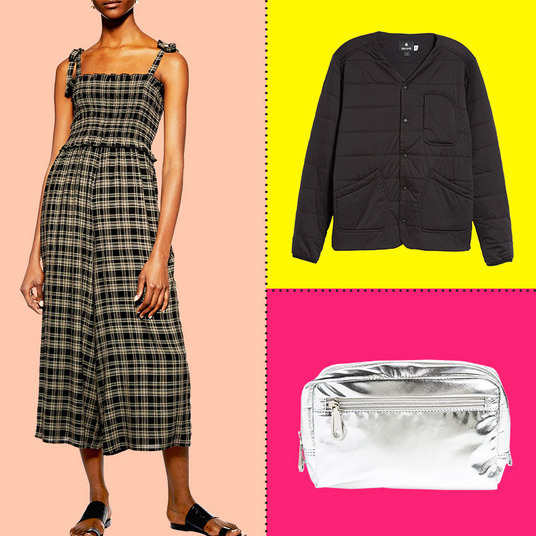 It decides all of the pricing, but items that are on trend, in season, and from middle-market brands like Lululemon or J.Crew are paid for upfront, while items that might take a little longer to sell are paid on consignment. It usually won’t buy things that are stained or pilled or over five years old, but if it decides not to pick it up, it’ll recycle it for you. Also, it’s looking to grow the maternity section, so right now, that’s almost always paid upfront. The Celine bracelets go fast on Vestiaire. Origin story: Founded in France in 2009 by six friends who noticed fashion bloggers selling past seasons’ clothes via blogs. Fanny Moizant, one of the founders who had a fashion background, went through her friends’ wardrobes, picked out the clothes they weren’t wearing anymore, and launched Vestiaire as an easier platform to sell. The company has since raised $130 million, gathered 6 million members in 47 countries, and now has its eyes set on Chinese expansion. They’re in the process of onboarding Chinese sellers and plan on opening a logistics hub in the region by mid-2018. 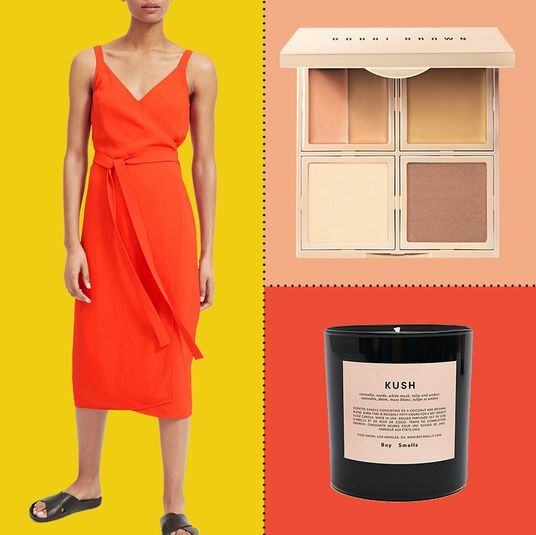 Who it’s for: Young and upwardly mobile Europeans, and more recently Americans, who often work as stylists and are flipping designer items between seasons. 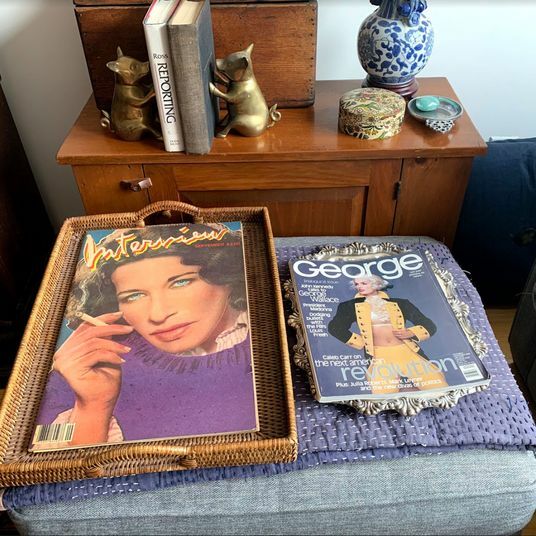 The great thing about Vestiaire, especially for Americans, is that since so many of its users are based in Europe, buyers can often find items from collections that never made it to stores in the U.S. 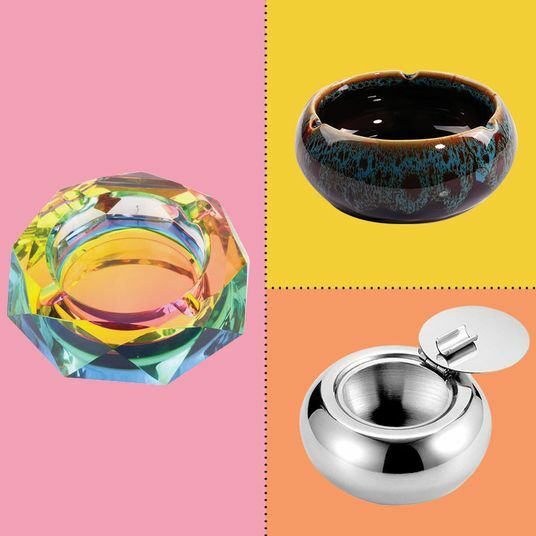 Tips for Buying: If you’re impatient, start by searching “just in” and “ready to ship.” That means you’re seeing the newest additions that have already been checked for authenticity and quality by a team of experts, so they’re ready to be sent out the minute you click buy. If you’re looking for something specific, you can sign up to get emails and alerts when someone posts that exact Goyard bag or something similar. You can also follow the closets of people who are your size and have your style. Tips for Selling: It works like this: Take a picture of your item and submit it via the Vestiaire website along with a description. The item will get approved by someone at the company before it goes live on the site. When it sells, you ship the item to Vestiaire HQ, where it’s checked once more before being sent along to the buyer. Those Gucci kicks are still available…for now. 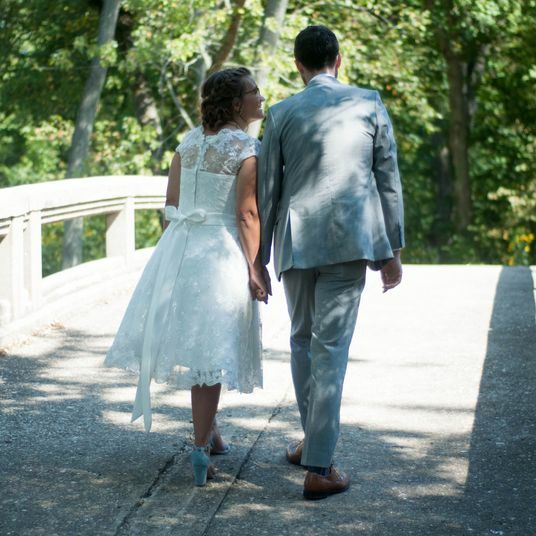 Origin story: Tracy DiNunzio had launched a website for wedding re-commerce when she learned that only 3 percent of the women who shopped consignment online also sold consignment online. 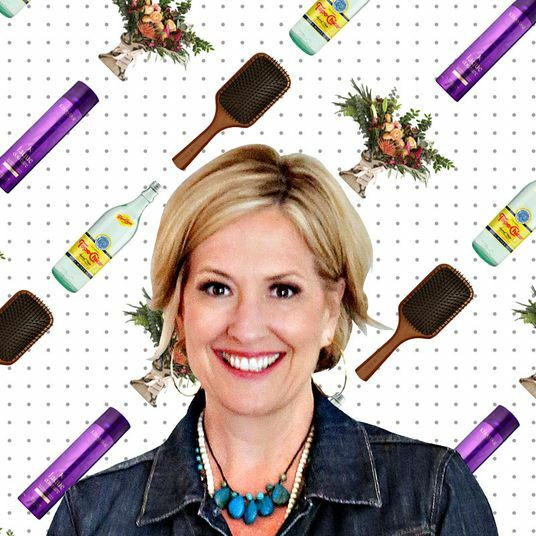 She opened Tradesy in 2012 with a 60-second listing process in an effort to capitalize on that potentially untapped market of women who shopped, but just needed a better user experience and a bit more incentive to sell. Its offers range far beyond weddings, and she’s attracted a little over 6 million users, along with $74.5 million in funding. They have a by-appointment showroom in Santa Monica, California. Seller Style: peer-to-peer, but the seller profile is hidden at the bottom of the page because it’s more about the product getting Tradesy’s stamp of approval than coming from any random seller. 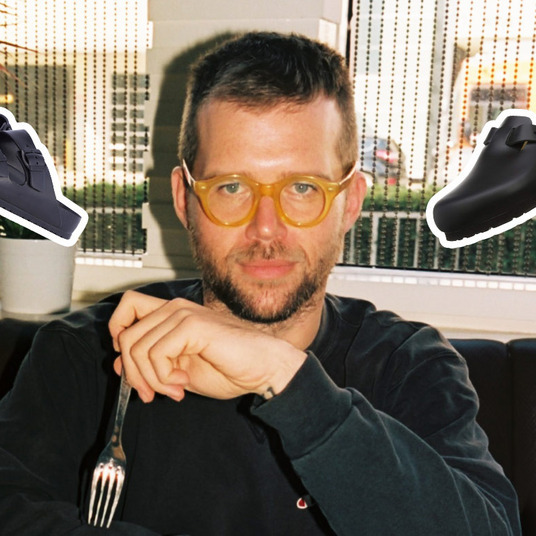 Who it’s for: Bloggers, Instagram stars, and women working in branded content who want to sell their trendy Alexander Wang bags, last season Gucci, and H&M designer collaborations after they’ve Instagrammed them too many times to ever wear again. 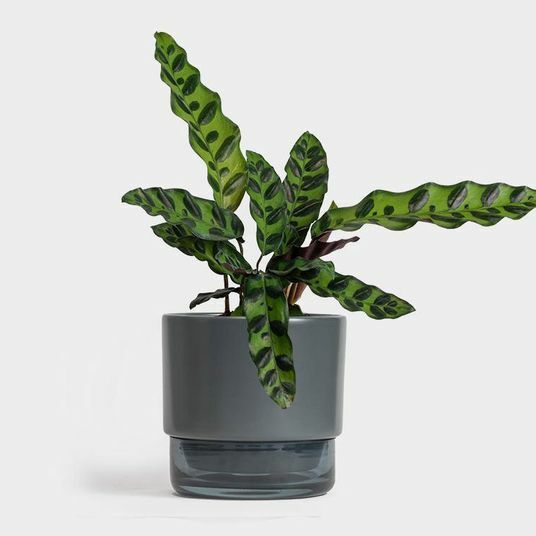 Tips for Buying: Whenever you find something you’re interested in buying from a regular department store, search Tradesy for it, and then favorite it. They’ll occasionally have 10 percent off sales, and you’ll get a notification anytime your favorites go on sale, or if the seller drops the price, which they’re more likely to do once they see that people are interested. If you’ve sold something in the past, that money goes into a Tradesy piggy bank. If you want to transfer that money into your bank account, Tradesy will take a percentage, but if you use it to buy something else on the app, you keep the full amount. It’s like Venmo, but for Céline bags. 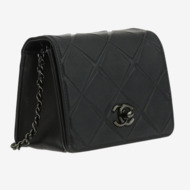 Tips for Selling: Handbags go the quickest, generally. Tradesy will email users about trending designers, so if you keep an eye out, you can maximize on whatever you have in your closet. Also, when you put something up for sale, Tradesy offers a spectrum of prices at which the item is most likely to sell, and how long it’ll take at each given price. Generally speaking, people will narrow searches by price point, so the lower you dip, the quicker your item is likely to sell. The closet pictured here belongs to a girl named Connie. Origin story: After Manish Chandra, the founder behind the social shopping site Kaboodle successfully sold that company to Hearst, he turned to fashion, and in 2011 built the app that became Poshmark. 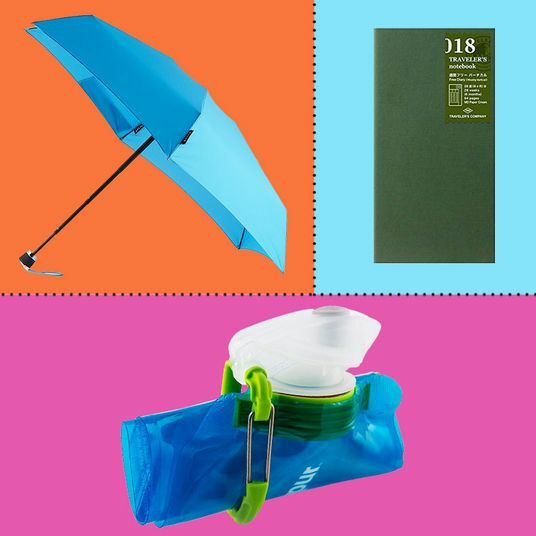 They’ve since raised $160 million in venture-capital funding and host 3 million sellers who are offering 25 million items, altogether, at any given time. The biggest of those sellers gather at an annual PoshFest, a two-day conference where they meet and talk shop about growing their businesses. Most recently, Poshmark created a wholesale and boutique section where people can buy and sell their own new designs. 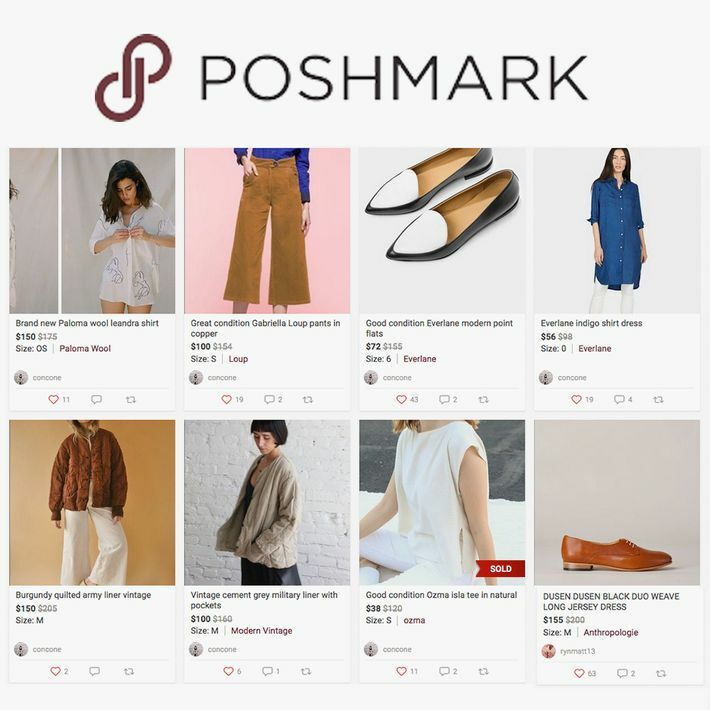 The company says that 1 in 100 fashion items purchased in the U.S. are resold on Poshmark. Who it’s for: It’s become the popular takeoff point for entrepreneurial high schoolers — who no longer shop at the mall — to start their own businesses, but there are lots of millennial women, who might otherwise hit up Crossroads, there looking for deals, too. 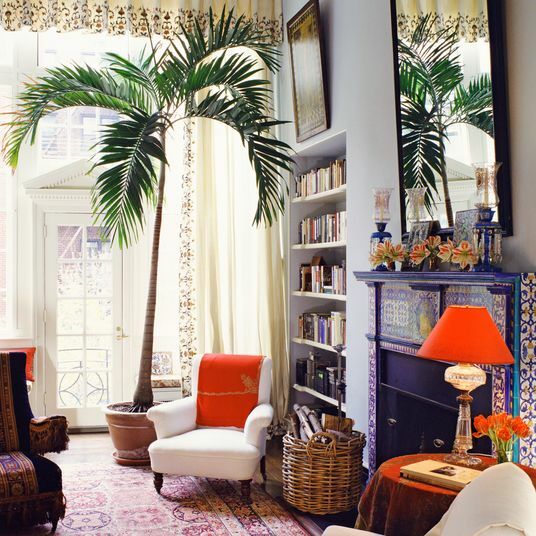 Tips for Buying: Search for exactly what you want. Then, look around the closets of the people who sell it to see what else they have. If you have similar tastes, follow them and check back to see if they’ve uploaded other things you might like. If you find a specific item you want, like it, then be patient. Once sellers start seeing an item getting likes, they’ll often lower the price to incentivize a buy. Once they lower a price by 10 percent, Poshmark will throw in shipping discounts, too. Another fun thing: They have a partnership with Amazon, so if you say, “Alexa, style me an outfit,” she’ll work with Poshmark to find a look. Tips for Selling: On Poshmark, it’s all about keeping your listings active, which means sharing and re-sharing them to your followers constantly. It’s also helpful to share other users’ listings so that they might share yours to their followers in return. Poshmark organizes themed “Parties” multiple times a day. 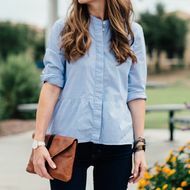 The themes are either a group of brands or something more general, like “Back to Basics,” in which you can share anything that fits the theme. 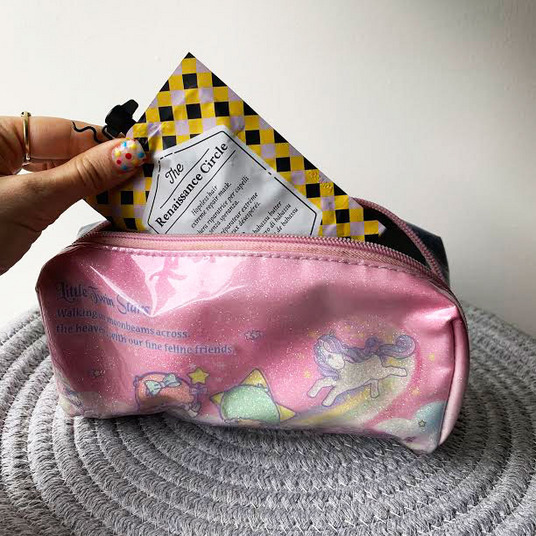 People enter those parties ready to shop, so sharing your item to a party and actively commenting and participating in the parties significantly ups the chances of people seeing and buying your stuff. And one search-engine tip: The clearer and more precise your description and headline, the more likely it is to pop up on Google when people search for it. Where there was once the eBay millionaire, there is now the Depop influencer and the Poshmark entrepreneur. On these platforms, the more followers you collect, the more product you can push. So for peer-to-peer apps, the users themselves become the marketers both for the app and for their own online shops. This May, Depop influencers — a distinctly different group than Instagram influencers, Twitter influencers, and bloggers, though they’ll sometimes overlap — were even the stars of a Converse campaign. If you’re fast enough you can still buy McFadden’s bunny top. It was Depop that wanted to make Bella McFadden a star. Two years ago, she had just moved back home to Winnipeg, Manitoba, taking the semester off from college in Montreal, when someone from the app reached out. 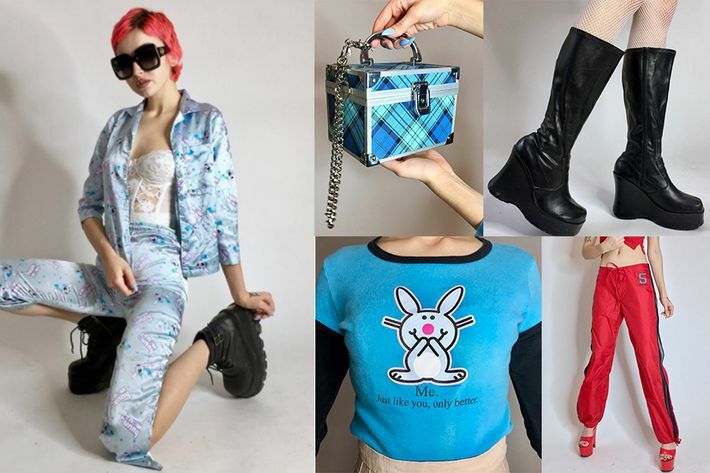 They saw that she had a following on Instagram and had been selling her own collection — cheerleading outfits for a team called “Witch” that she designed, vintage dead-stock platform boots, and ’90s Moschino — on a Big Cartel website and wanted her to transfer all of that retail over to Depop. Now, she has 447,000 followers on Depop — compared to a meager 147,000 in Instagram — and gets recognized for it, too. “I was at Vivienne Westwood in L.A. and they told me they used my Depop as inspiration to style the mannequins,” McFadden says. “I was so excited.” She never ended up going back to school. Claire is a senior at Phillips Academy Andover. Chloe is a freshman at Stanford University. Together, the sisters are known as “Couturial” and have over 550,000 followers on Poshmark. They collected that following over four years, since Claire was 13 and went on YouTube to research ways she could make money as a teen. Hopping between videos, she learned about Poshmark, and sold her first Victoria’s Secret Pink iPhone case on the app not long after. From there, they started selling J.Crew, Forever 21, and Wildfox, but their breakthrough was Zara. “It would just fly off the shelves,” Chloe says. Eventually, they started scouring local consignment stores for arbitrage, buying things on the cheap and reselling them on Posh for a profit, focusing on customer service to make sure that their buyers would come back for more. This summer, they applied for a business license and opened up their own online boutique, also called Couturial, where they reach out to wholesalers and sell their own gingham rompers, joggers, and rose-patch-embroidery bodysuits. Sam Barback is selling a Gucci ice tray, and it might be the only Gucci ice tray for sale on the internet right now, but he won’t tell you where he got it. And that’s how he’s built his following: extreme scarcity. “The turning point was changing from buying things I knew I would make money on, like a Supreme T-shirt, to buying things I didn’t know if I could make money on, but were beautiful and I wanted to have and collect, like a really nice Dolce jacket.” Now, that usually means Versace bottle stoppers, Gucci teddy bears, and Raf Simons parkas that he’ll often find first on Grailed (when people don’t know the market well enough, or are just in a rush to make some money, they’ll sell for less than an item’s true value) or through collectors that he’s met in Japan and England, and resell. He’s gotten so good at it that he reached out to Grailed, and this fall they actually hired him to moderate the site and look out for fraudulent activity and knockoff threads. Celebrity-celebrities are on here, too. Here’s what they’re selling. 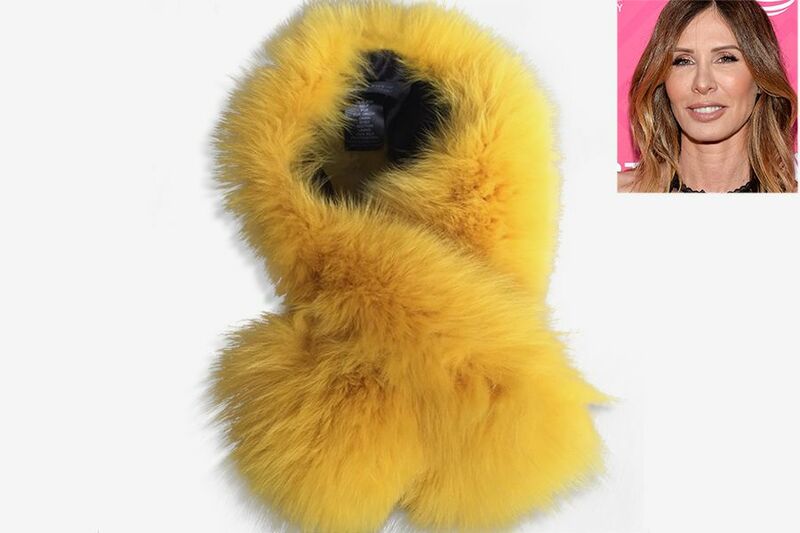 Carole Radziwill’s Adrienne Landau bright-yellow fur scarf. She’s an active seller on Poshmark, so you can follow along as she adds all the LBDs and Gucci dresses she’s worn on RHONY to her shoppable closet here. Gisele Bündchen’s Louis Vuitton boots are available through a special Supermodel Sale organized between Vestiaire Collective and the Toni Garrn Foundation. 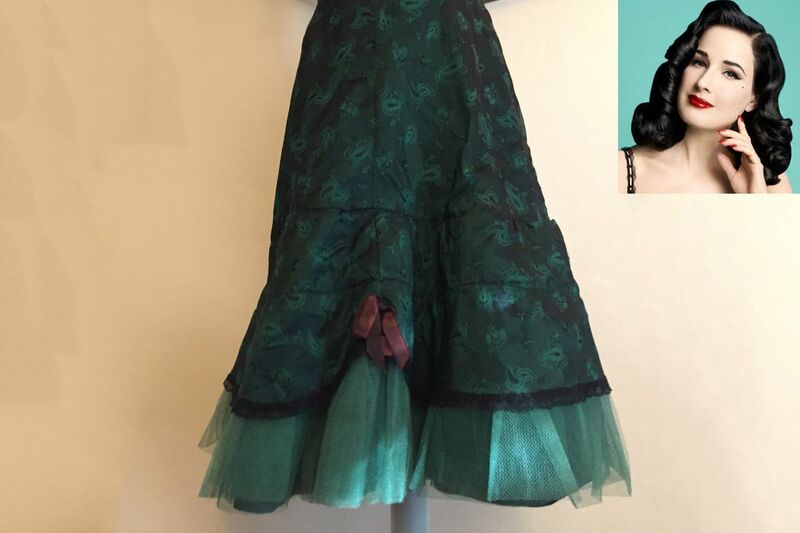 Dita Von Teese and her petticoats, pins, and vases are on Depop. Follow her here. 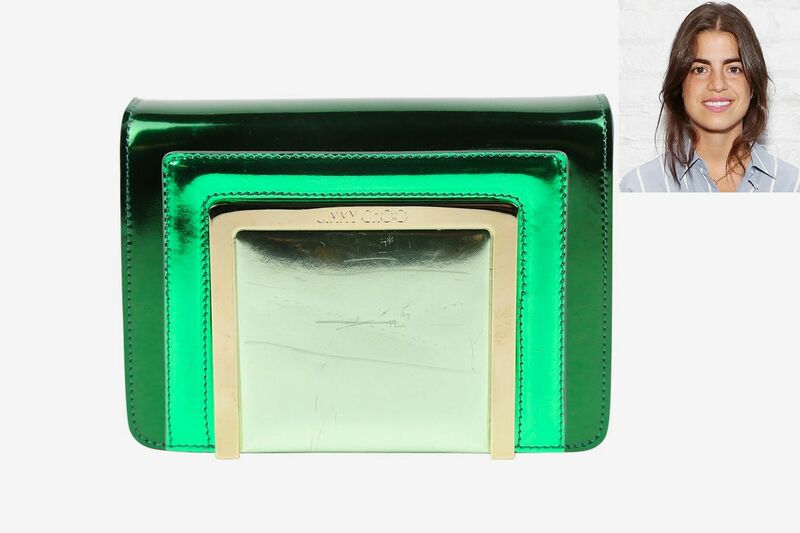 The Man Repeller, Leandra Medine, is on Vestiaire with Jimmy Choo patent-leather bags, L.K. 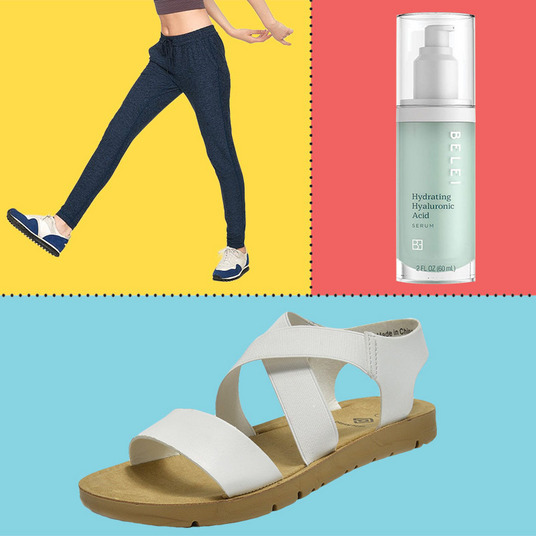 Bennett pumps, and Rosetta Getty mules. Follow her on Vestiaire here. She’s also selling Chloé scarves and Delpozo tops on Depop, so you can follow along there, too. See what she has to offer here. 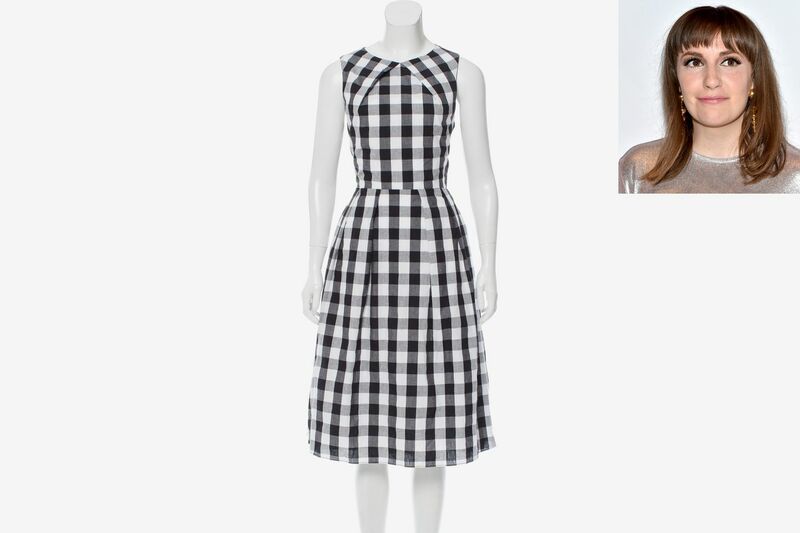 Buy this gingham dress from the closet of Lena Dunham and it’ll come with a personal note from the Girls star. She’s also offering Miu Miu tops and Prada dresses, some of which were worn on the show, with all proceeds going to support Planned Parenthood. See what else she’s offering here. Naomi Campbell’s Givenchy silk dress is also available through Vestiaire Collective and Toni Garrn Foundation’s Supermodel Sale. 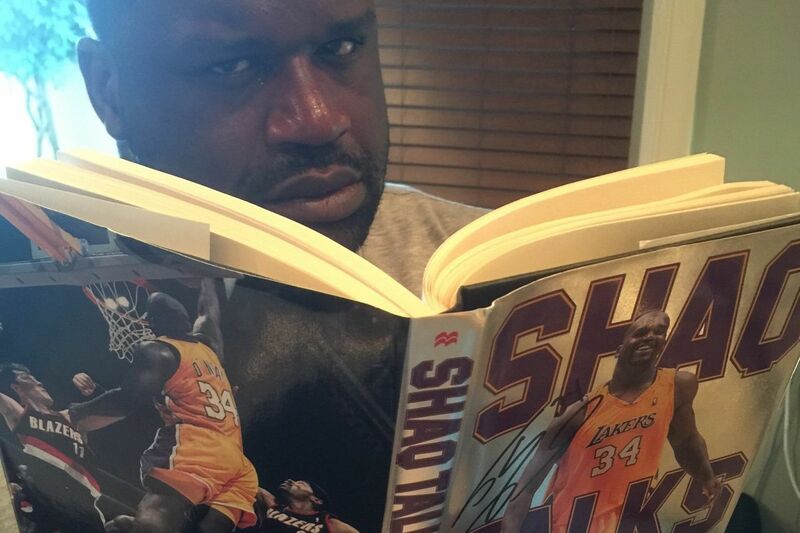 And on Depop, you can buy a Shaq-signed copy of Shaq Talks Back.